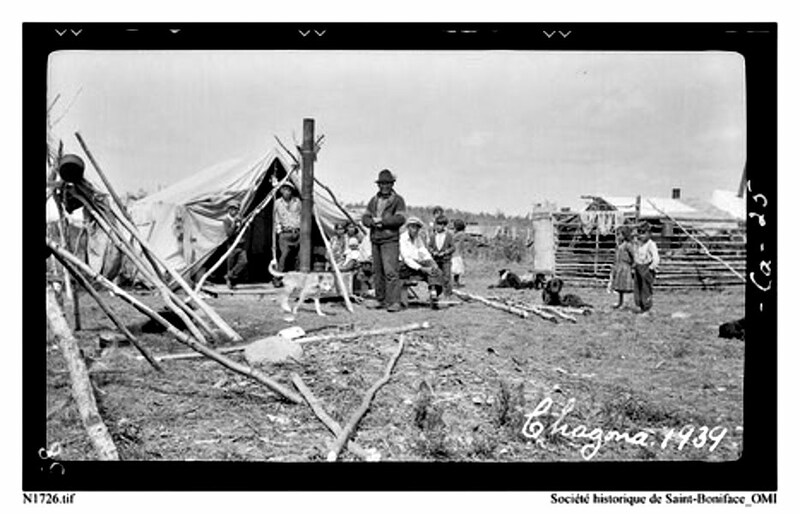 Father Moraud saying mass in a tent near Patuanak in 1939. 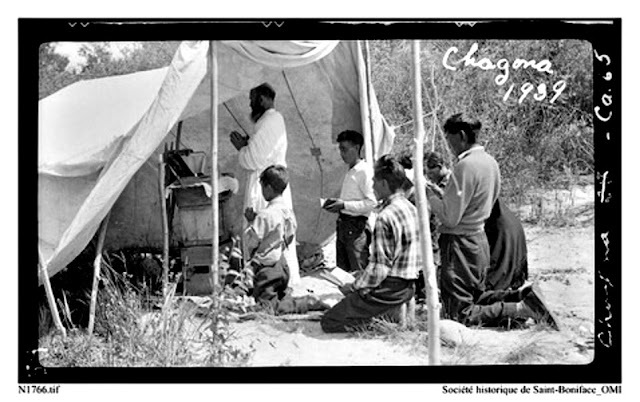 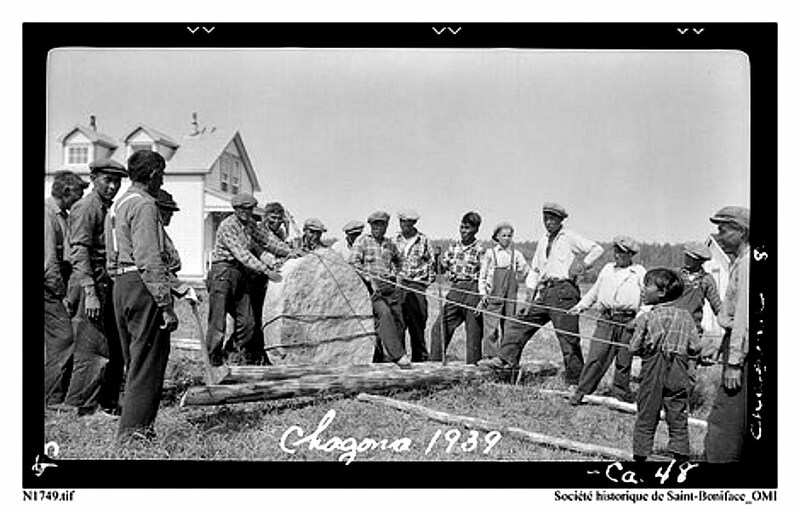 Chagona was the name used for the Patuanak Mission. 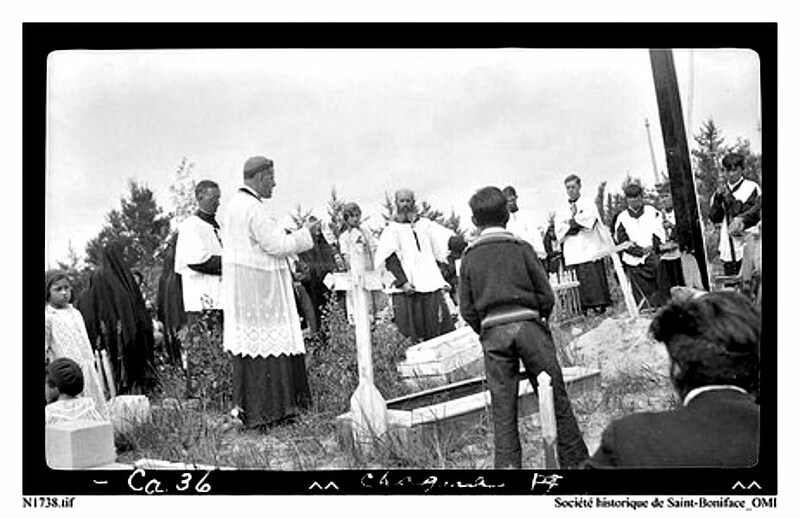 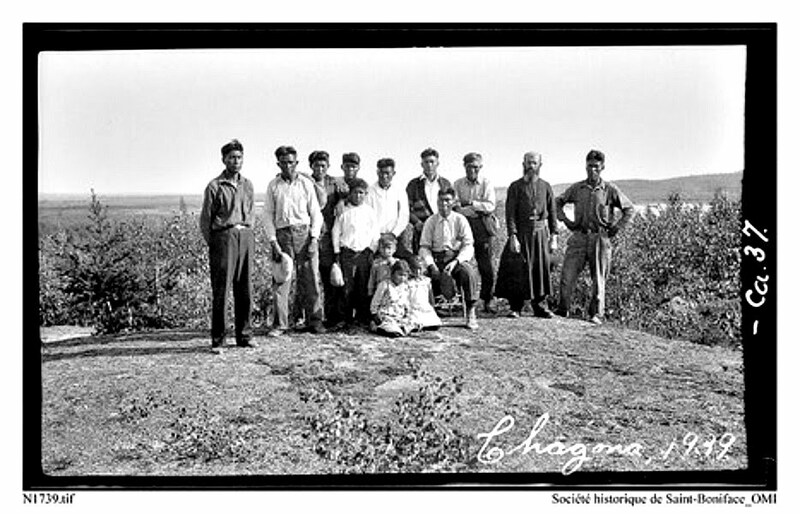 July 24, 1939 at the cemetery in Patuanak. A new cross was erected. 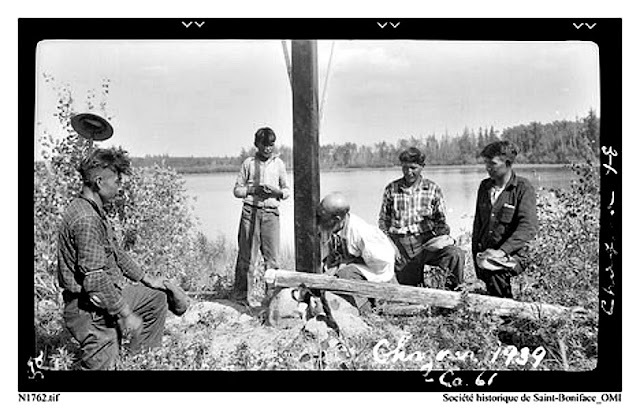 Pine River 1936. 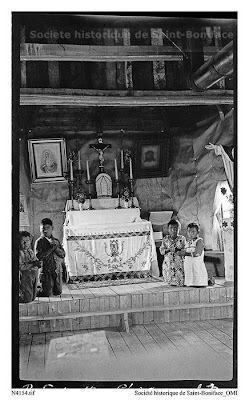 The Legoff chapel. "A Dene community of about 800 people, Patuanak is located west of the Shagwanew Rapids on the Churchill River. 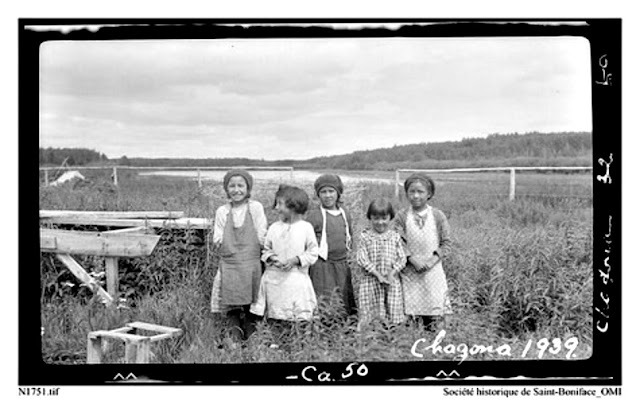 The pleasant and spacious community stretches for a mile and a half along the shoreline, with the reserve near the year-round open water below the rapids and the non-Treaty homes facing onto Shagwenew Lake. Most of the families now at Patuanak traditionally lived down river at Primeau Lake, Dipper Lake and Knee Lake or Cree Lake. As in most northern communities, the Hudson's Bay Company set up a store at Patuanak to replace the ones further down the Churchill River therefore Patuanak became a fur-buying centre. 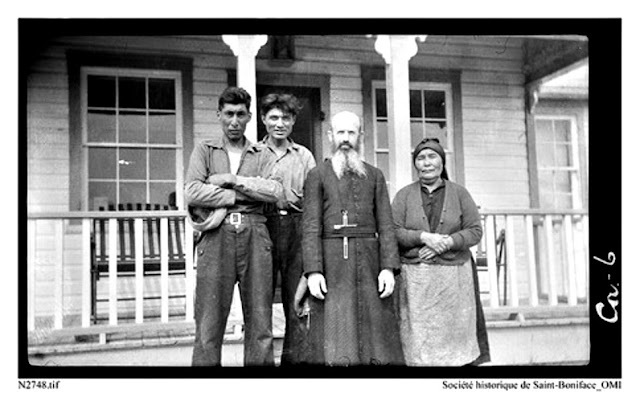 In 1916 Father Louis Moraud became the resident priest of Patuanak and served the English River Band area until his death in 1965. 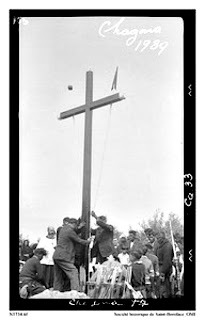 The main denomination is Roman Catholic. Patuanak's permanent population remained small until 1968 when all the people in the surrounding areas began moving in. 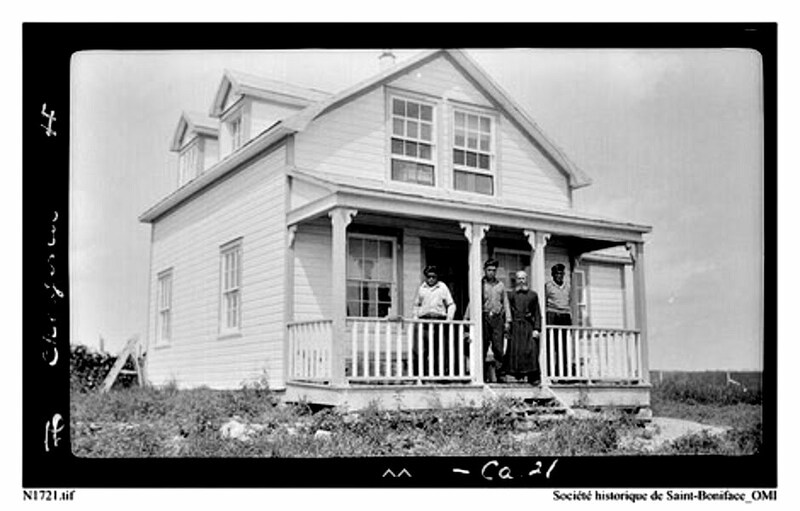 In 1968, the school opened at Patuanak and many families moved in so their children could attend. 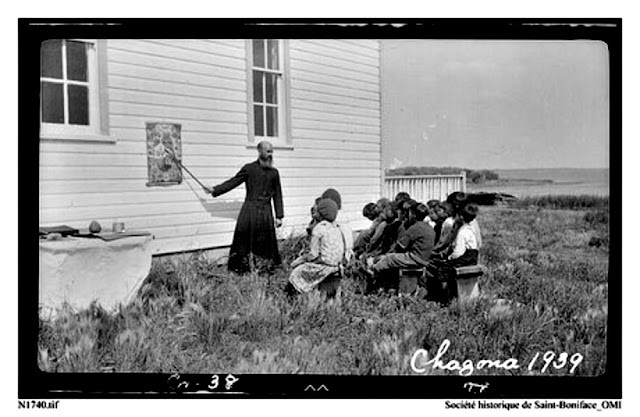 Prior to 1968, the children were sent to the mission schools at Beauval and Ile a la Crosse, while their families went north to trap. 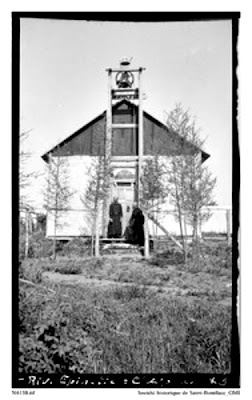 The traditional activities of the people of Patuanak can be seen on all sides during visitations, such as moose hide tanning, beadwork of various sorts and birch toboggans". 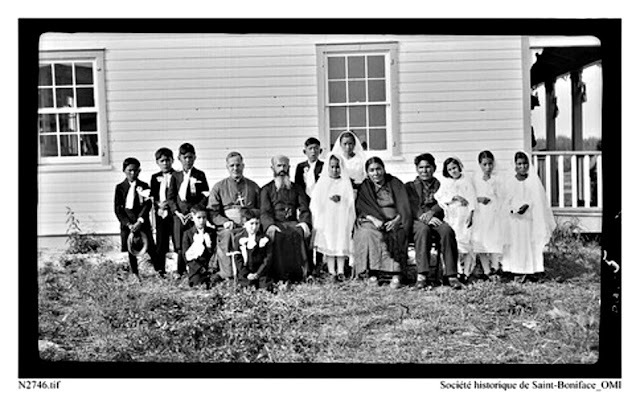 Patuanak first communion group with Father Moraud and Bishop Lajeunesse. Father Moraud teaching catechism outside.